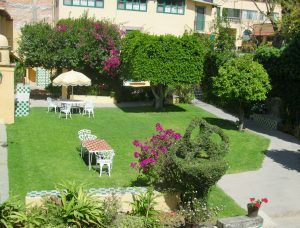 When I paid my rent the other day here at the apartment complex in San Miguel de Allende, Mexico, where I now live, I stopped to chat for a short while with the manager in his office. Francesco is a sweet Mexican man in his early 70s, a retired teacher, who, with his wife, Maria, has been managing this clean, safe, quiet, well-manicured complex for over forty years – she manning the office during the day on weekdays, and he, in the evenings and on Saturdays. Spanish-language newspapers were open and spread over his large desk. I interrupted his news-reading and sat in a chair nearby. After the customary (and requisite) polite pleasantries – “Como estas? Bien, bien, gracias! Y tu?” on both sides – we talked about the news. We began our conversation in Spanish but soon switched to English, as is often the case here in San Miguel, where the locals’ ability to speak some English is far better than the old gringos’ rickety Spanish. “So what do you think of Trump?” I ventured in Spanish. Francesco looked at me incredulously. “El es malo — y loco” (He is bad – and crazy), he said. “Are you afraid of what he might do?” I asked. “Oh, no.” Francesco smiled and leaned back in his chair, professorially. “Mexico is a very old country. We’ve been through a lot. We know how to survive. “So now that Trump is in charge, we’ll just do more business with our neighbors to the south. Or with China. Or Europe. Or Africa. We’ll eat more avocados every week at home if we don’t export as many as before.” He smiled conspiratorially. “Francesco, do you think that Mexico will want to throw us gringos out – in retaliation for what Trump plans to do?” I made a gesture as if tossing out a pail of dirty water. He shook his head. “Oh, no, Bonnie, Mexico is not like that. We would not do that. We are…” As he looked for the right word, he put his arms out as if in a hug. I remembered that the word for hug in Spanish is abrazo. I recalled that the owner of a fun fabric shop here in San Miguel called Abrazos, Patrice Wynne, told me that the deeper meaning of the word abrazo translates to embrace – “on every level – humans and hearts,” she said. Before I left his office, Francesco took my hand. As I walked back to my apartment (“my little lily pad,” I call it), close to tears, through the apartment complex’s central, communal, courtyard/garden area, redolent with the fragrance of orange blossoms, on that sunny and warm last Saturday in January, I counted my blessings. My rent here (all utilities, cable, and Internet included), plus food and other necessities of life and a few not-so-necessary miscellany, such as a movie now and then or lunch in town with a friend, come to just under $1,000 (U.S.) a month – roughly equivalent to my Social Security income. I have not yet had to raid my meager retirement savings. I am thankful that I can afford to live safely and happily here in Mexico as a retiree. In my opinion it is not at all unpatriotic for concerned Americans to leave the country and live elsewhere as ex-pats – especially now. In 1996, when Bill Clinton was in the White House, I proudly joined the United States Peace Corps to serve my country as a volunteer in the rainforest of Central Africa for two years. Then, and since, whenever and wherever I’ve traveled or lived overseas I’ve felt like a U.S. ambassador: showing the locals that not all Americans fit the ugly stereotype of rich, rude, and pushy. It feels good to me now to show people here, such as dear Francesco, that not all Americans admire or support Donald Trump, nor are we malo y loco like him.